Those looking to receive top-notch automotive service near Southey should look no further than Crestview Chrysler in Regina! Our trained, certified, and experienced technicians only use factory-recommended fluids and filters. That way, after we perform an oil change, your car will be running to the best of its ability. As the premier oil change provider for Southey drivers, we’re known for our consistent and efficient service. 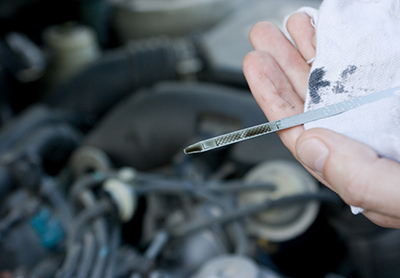 When it comes to maintaining your vehicle, it’s important to remember to keep a consistent oil change schedule. Clean oil is vital to maintaining your vehicle’s well-being. It keeps the cylinders in your engine lubricated, your engine from getting too hot, and other moving parts from overworking themselves. However, waiting too long to change your oil will cause it to get dirty, which will lead to a variety of costly issues. Dirty oil leads to poor fuel economy, decreased vehicle performance, and increased potential for your engine to overheat. Lack of proper lubrication can cause parts to rub together, which could cause contaminates to get into the oil. While you might think you’re saving money by spacing your oil changes further apart, you’re actually setting yourself up for expensive repairs in the future. Scheduling an appointment with us is quick and simple thanks to our online service request form. Pick the date and time that works best for you, and we’ll have your car running smoothly with clean oil in no time. Our Service Department is open Monday through Friday from 7:30 a.m. to 5:30 p.m. and on Saturday from 8:00 a.m. to 2:00 p.m. Here at Crestview Chrysler, we pride ourselves on complete customer satisfaction, so if you have any maintenance questions please feel free to call us at (306) 525-5411. Once you’re ready to come in for an oil change, come visit our dealership at 601 Albert Street in Regina! We’re just 40 minutes from Southey by way of SK-6 South, so stop by soon!